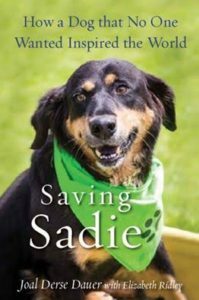 Saving Sadie – The dog story with a happy ending! The dog story with a happy ending! 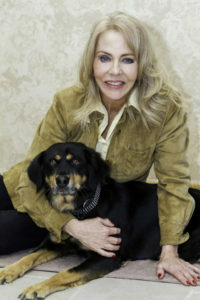 Shot in the spine and head, Sadie was left for dead on a cold Kentucky mountainside. That could have been the last of Sadie, but this dog story has a happy ending! Have you ever been bullied? Do you know someone who has? Do you remember the pain that it caused? Please watch this 6-minute professionally produced video that will inspire you and to help you to stop the bully in your life. These next 6 minutes can change your life. Want Sadie To Visit You? Invite Sadie to visit your school or your business, or appear at an event. Sadie travels by car and plane and loves meeting new people! 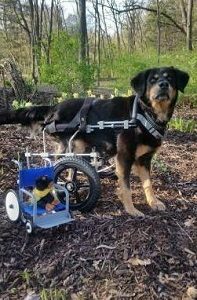 Sadie is a 501(c)3 charity and all donations are tax deductible. Help Sadie to save more lives today with your gift!